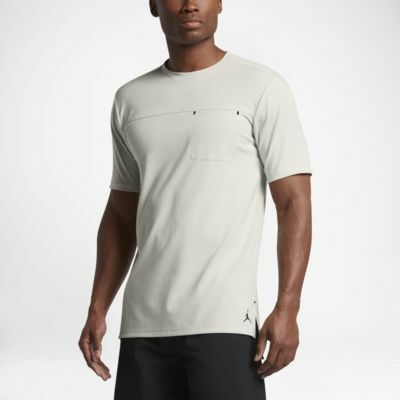 The Jordan 23 Lux Pocket Men's T-Shirt features a ventilating mesh panel at the back to help keep you cool and comfortable. The Jordan 23 Lux Pocket Men&apos;s T-Shirt features a ventilating mesh panel at the back to help keep you cool and comfortable. Fabric: Body: 72% polyester/23% rayon/5% elastane. Upper back panel: 64% polyester/36% rayon. Have your say. Be the first to review the Jordan 23 Lux Pocket.